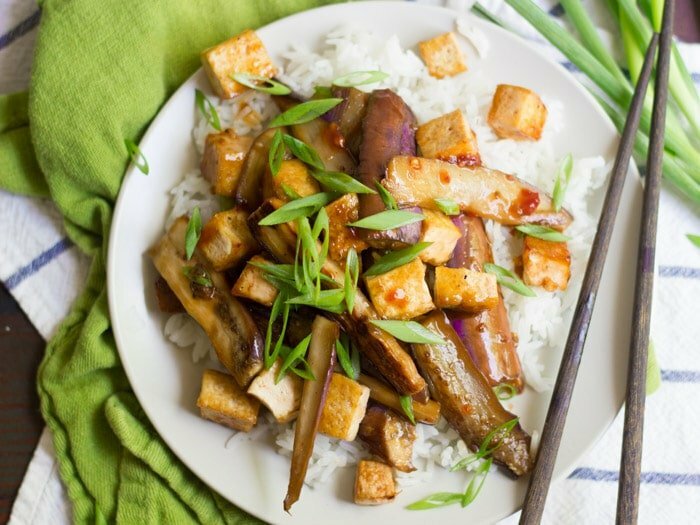 This melt-in-your-mouth Szechuan eggplant is pan fried, coated in a garlicky sweet-spicy sauce and served with crispy tofu over a bed of rice. I think I just realized what my theme is for VeganMofo. I didn’t think I was going to have one, and it’s kinda funny because a few weeks ago my boyfriend was helping me brainstorm and suggested the theme of “harvest.” A nice thought, but what would I even do with that? I mean, this is a vegan food blog where the majority of recipes feature some type of fresh fruit or veggie, which was obviously harvested in some way or another. But then as I was getting this post together and looking at the posts I’ve got planned out for the next few weeks, I realized that most of them feature something that came out of my garden, or a friend’s garden, or the farmers market…you get the drift. I’m guessing lots of you have an overabundance of fresh peppers, tomatoes, zucchini, eggplant and the like in your kitchens. Yesterday’s post featured tomato and basil, both harvested from my backyard. Today it’s eggplant and scallions, also harvested from my own crops. I can’t say every post will be like this (spoiler alert, tomorrow’s isn’t), but most will. Moving on to eggplant! If you’re like me, you planted the ever-popular purple globe eggplants. 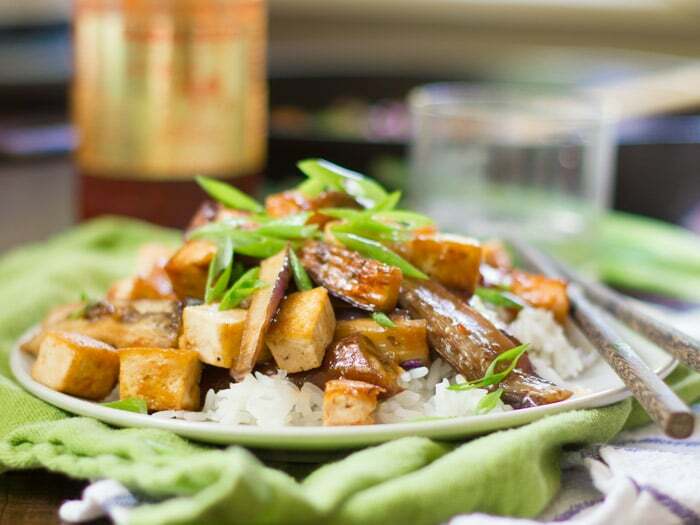 Traditionally, however, this dish would be made with Chinese eggplants, which are a bit more tender than globes and other more common varieties. You can get away with subbing another type of eggplant here, and in the U.S. at least, globes are the ones that’ll be easiest for you to find. Globe eggplants are what I planted in my garden this year, simply because I can work them into all kinds of recipes. Just stick with a pound of whatever variety you go with and you should be set. Be sure to let me know how it turns out if you try some fun eggplant substitution. Coat large skillet with oil or cooking spray and place over medium-high heat. 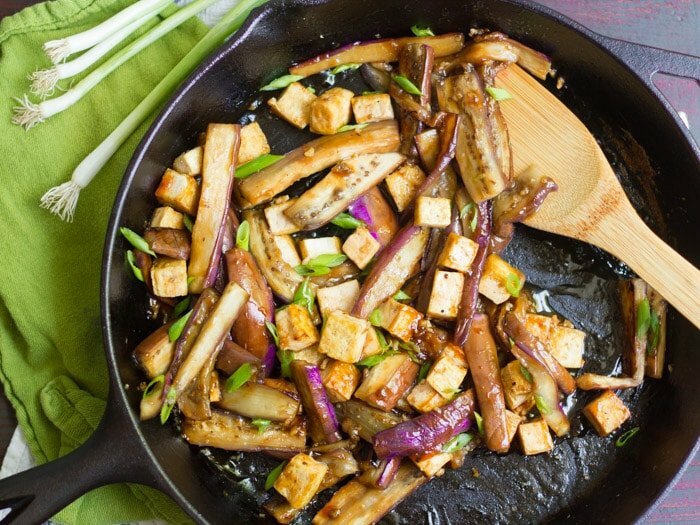 Add tofu to skillet in a single layer. Cook until browned on each side - about 3 minutes per side. Remove from skillet, transfer to a plate and set aside. Whisk broth, soy sauce, brown sugar, vinegar, chili paste and cornstarch together in small bowl. Set aside. Place vegetable and sesame oil in skillet place over medium heat. Add garlic and sauté for 1 minute. Add eggplant strips in a single layer. Cook about 5 minutes, until strips are browned on bottoms. Gently flip and cook another 5 minutes, until browned on opposite side and tender. You can add a dash more oil if the skillet begins to dry out. Add soy sauce mixture to skillet and cook about 1 more minute, until thickened and eggplant is well coated. Add tofu to skillet and toss to distribute. Divide among plates or bowls. Serve with rice and top with scallions. THIS LOOKS PERFECT!!! I’ve pinned it to my list of recipes to make — thanks! Sounds delicious and I bet it tastes amazing with all those flavoursome ingredients. 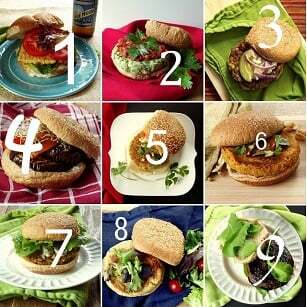 Definitely will be recreating the recipe for my vegetarian household! Eggplant + rice + szechuan = sold. 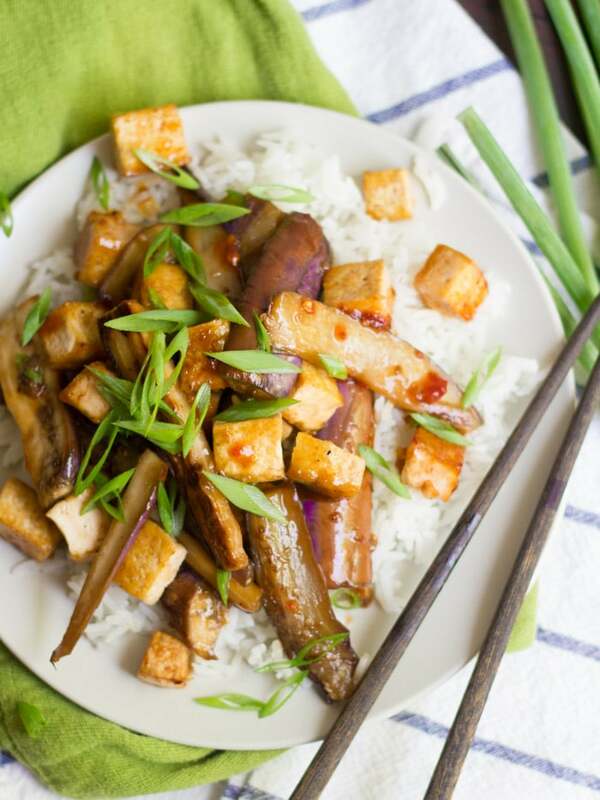 This looks really tasty and I just happen to have some eggplant on hand…. Perfect! Gotta love that combo :) I hope you enjoy it!! Haha nice! I hope it works. ;) Thanks Ginnie! Yum! I love eggplant! I don’t think an abundance of it would ever be a problem for me lol. I also like to cube it up and toss with cherry tomatoes, scallions, olive oil, salt and pepper. Roast at 350 for about 15 minutes. Delish! Can’t wait to make this – thanks for sharing! I chose this to be my birthday meal and it didn’t let me down!! Excellent!! Thanks for creating and sharing this recipe!! Yay! Glad you liked it, and Happy Birthday!! I made this a couple of days ago, modified to suit my low Fodmap diet (just left out garlic cloves and fried eggplant in a suitable garlic infused oil instead). It was delicious and I will be making it again. Thanks! Oops, I forgot to add that I dusted the eggplant in cornflour, salt & szechuan pepper before frying and then added 2 tsp of the leftover cornflour mix to the sauce, instead of adding the plain cornflour. Hope that makes sense. Yay!! I’m so glad you enjoyed it! Thanks Ann! Tried this recipe last night! It was so good and very easy to make. I happened to have all the ingredients which made it all the better. I used the globe eggplant, since thats what I had on hand and it turned out delicious. I just made sure to slice it in thin slivers. The one addition I may include next time are slices of red onions. Other than that, perfect and simple! Thanks for sharing this recipe! I think red onions would be a delicious addition! I’m so glad you enjoyed it! Thanks Vanessa! Yes! You can add all kinds of veggies to this, and I think carrots and radishes would be awesome. I hope you enjoy it!! Made this for the first time tonight and it was delicious! I used thick chilli sauce instead of paste and brown onion instead of scallions but otherwise used all the ingredients as suggested. I mixed all the sauce ingredients before realizing you should hold some back, so I fried the first batch of eggplant using about half ot the total sauce, then used the remaining sauce for the rest of the eggplant and to mix everything together. The result was definitely not as pretty as in the photos but tastes great! Yay! I’m so glad you enjoyed it! Thanks Emma!